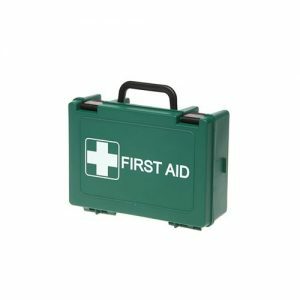 BSI First Aid Kit Metal Cabinets are a range of workplace first aid kits which have content compliant with the latest BSI BS8599-1:2019. 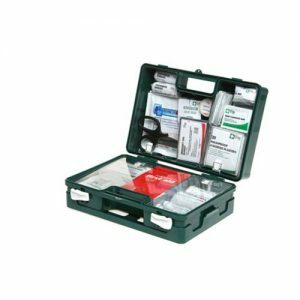 The BSI First Aid Kit Metal Cabinets range is suitable for permanent fixing within a workplace or first aid room. 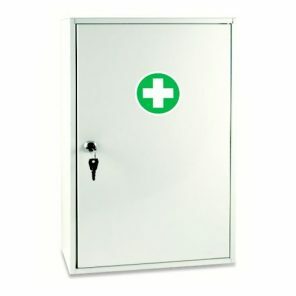 This robust, wall mountable metal cabinet allows you space to add a range of additional first aid items. 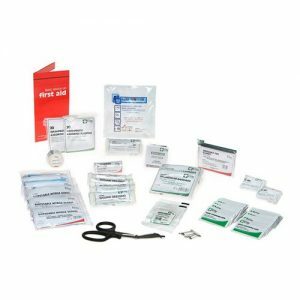 Which size of BSI First Aid Kit Metal Cabinets do you need? 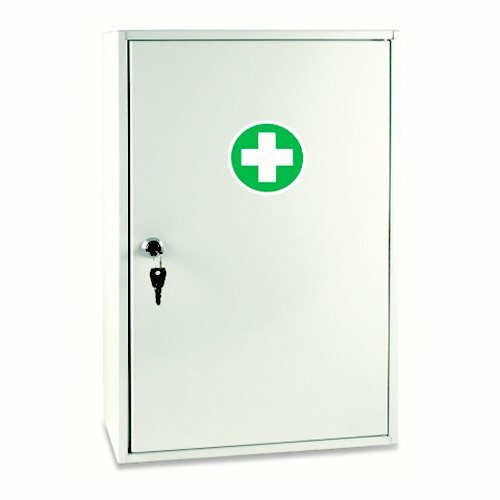 Choose from BSI First Aid Kit Metal Cabinets available in three sizes small, medium and large. To comply with the latest BSI BS8599-1:2019 regulations is dependent on the level of risk in your workplace, see help chart below. Fully compliant with the latest BS8599-1:2019 regulations, this range of BSI kits are affordable and durable.